Ninety nine percent (99%) of the requests we get for help each day stem from IMMUNE SYSTEM deficiency problems. Today’s over-reliance on pharmaceutical drugs and a truly destructive modern-day food supply and diet regimen has literally destroyed our natural Immune System defenses. It’s no wonders overnight calamities like the Bird Flu and Swine Flu wipe out thousand upon thousands of people. 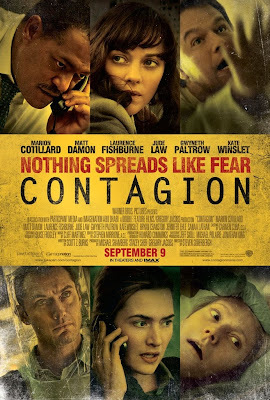 Have you seen the new movie “Contagion”? Just released to theaters in September, Contagion is an environmental disaster thriller that follows the rapid progression of a lethal airborne virus that kills within days. If you haven’t seen it, I recommend you do. It will wake you up with a jolt as to how a major apocalyptic disaster is brewing out there. Click here or on the picture to watch the video trailer on YouTube. We’ve become so accustomed to all of these infections that we take it for granted and that it’s all perfectly normal. Nothing could be further form the truth! We aren’t supposed to get sick or to be depressed. That’s not in God’s perfect design for life on this planet. The overuse of antibiotics has made the problem far worse! Last year, we wrote an in-depth report on this topic. If you missed it, read my article, What’s for dinner – Antibiotics!. Sitting where I do, the news gets grimmer each day. 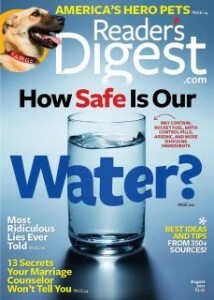 So many people are sick as a dog, or worse they are in a dire fight for their life.